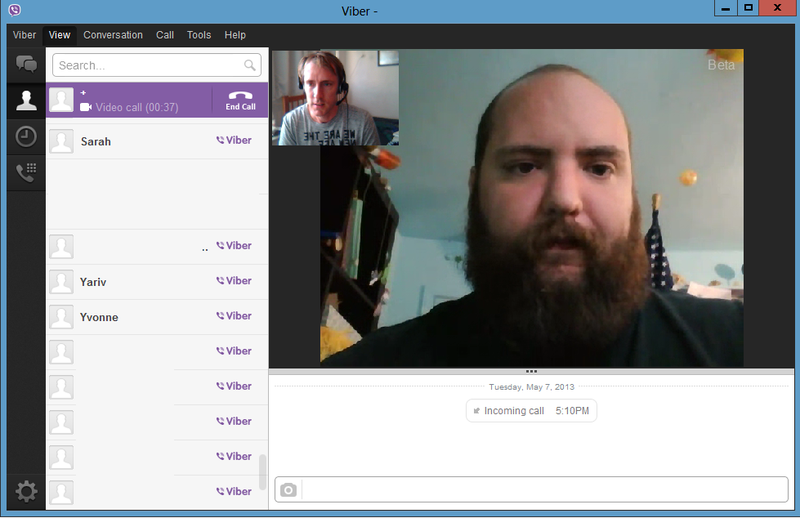 Mere days after the Skype announced plans to integrate video calling with the Outlook.com web service, Viber has delivered a counterpunch with a new desktop app that lets you make free calls from Mac or Windows PCs, including video calls—a new option for the popular, previously mobile-only service. Activating Viber for Windows was just as easy as using the smartphone version—as long as you’re a current Viber user. You simply enter your mobile phone number into the desktop app, and then submit an access code you receive on your smartphone. A few moments later your Viber contacts will appear on your desktop. If you don't have Viber's smartphone app, then you can't use its desktop app. 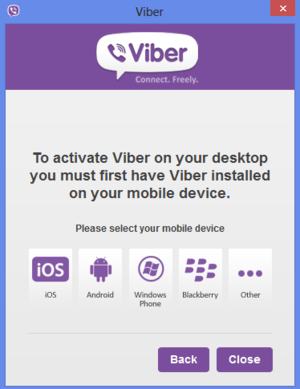 If you don’t have Viber on your phone and try to install the service on your PC, the app will redirect you to its website and ask you to install Viber on your phone first. Once installed, you can use Viber for PCs to make voice calls to other Viber users, send a text message, share a photo, or make a video call—a beta feature available only for PCs. This also means calls transfers won’t work for Windows Phone or BlackBerry users at the moment, as those platforms haven't received the Viber 3.0 update yet. Yes, PCWorld writers always look this intense when they're trying out new video chat software. Right now, the desktop app is pretty barebones and relies heavily on the mobile side of the service. You can only make voice calls to other Viber users, while the smartphone app can route regular phone calls through your mobile carrier’s network. Skype, by comparison, has a paid service that lets you call landlines and mobile phones in many countries around the world. Viber also doesn’t have an option to add contacts via the desktop app. Instead, it relies on your contacts from your smartphone that are synced with Viber’s servers. While Viber’s new desktop app is a great addition for existing users, the pain of having to set-up Viber on your mobile phone before using the desktop app make it a tough sell for newbies. The limited feature set of Viber’s desktop app also calls into question whether there’s much room for Viber in a space already dominated by Skype and Google Talk. That said, Viber’s ability to switch live calls between devices is a nice feature that Skype doesn’t have and could make Viber an attractive choice for some.